The food industry is ripe for a revolution. 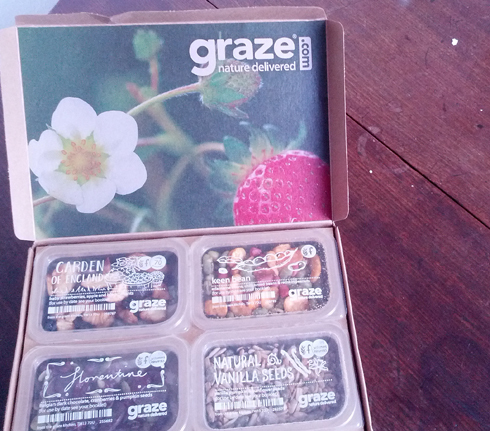 And while many companies have helped jumpstart the #realfood revolution by bringing in organic, there are few examples of food companies using business model innovation to spark scalable change. That’s why in this blog we are going to look at how BMi can be used to go beyond organic and reinvent our entire food chain. 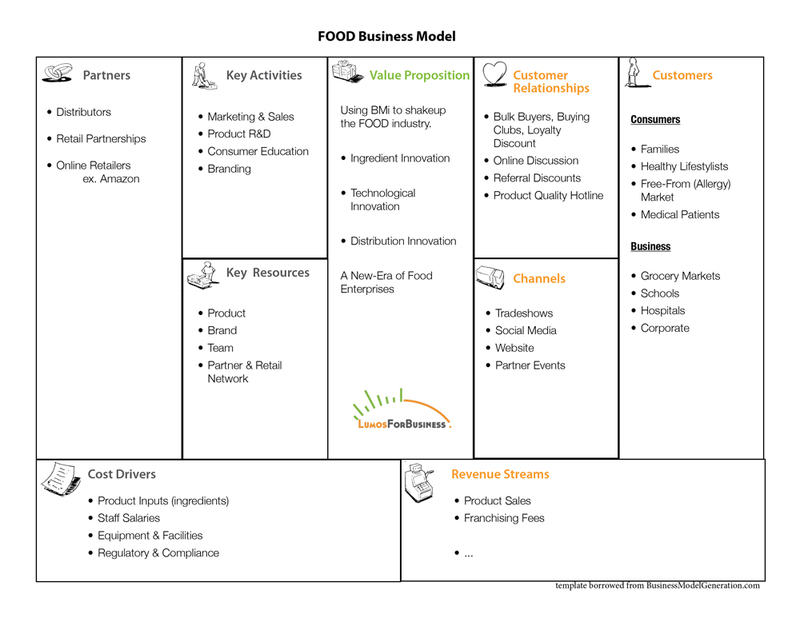 Business Model Innovation – it’s the theme du jour these days on the blog as we start exploring ways to use it to shakeup some big industries. In our last post, we talked about a few inspiring BMi examples and shared some basic BMi strategies; however, in this post, we are going to get down and dirty, and take a look at how to sow seeds using BMi to bear fruit in FOOD. When we think of companies that have really shaken up the food industry for the better in the last few years, the first company that comes to mind is Whole Foods. In fact, over the course of the last decade, Whole Foods has become the beacon for what we call the #real-food revolution. Thanks to their leadership, organic has become less of a hippy-homestead symbol and more of a food-conscious-family staple. 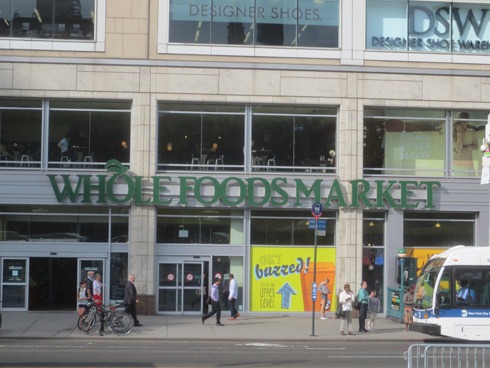 Step into any Whole Foods store at lunch hour in New York City, for example, and you will see a construction worker entering in one door and a yoga teacher the other. Their business model is based on high markup and low wages; recently they have started to compete more with the mainstream market on price, but this is the model which has made them a tremendously profitable and allowed them to reach their current scale. And while Whole Foods has had a tremendous effect on transforming the supply chain, shedding light on genetically-modified foods, and bringing real food back to dinner tables, it pales in comparison to the potential enabled by BMi. Business model innovation is a process of reinventing the business model itself, rather than focusing on end-product innovation, such as technological, material, etc. This could include simple changes, such as pricing mechanisms, distribution channels or forging new partnerships. In the end, it only the model that needs to change, not the product itself. How do we bring BMi to the food industry? First of all, we need to know what the objective is. From our perspective, it’s the return of #realfood to the masses, and it goes far beyond organic. 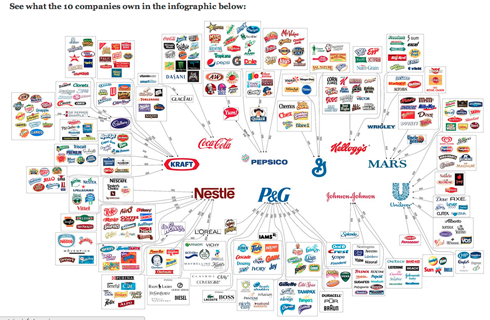 In a marketplace that is dominated by ten major brands, and a supply chain saturated with GMO inputs (approximately 80%), we need to build a whole new stable of food companies who have both the brand and distribution power to take on the giants. As a starting point, there’s a target: to replace the ten mega multinationals – who strive for profitability at all costs – with a global network of real-food enterprises. What can we do to tweak the business model to make this happen? 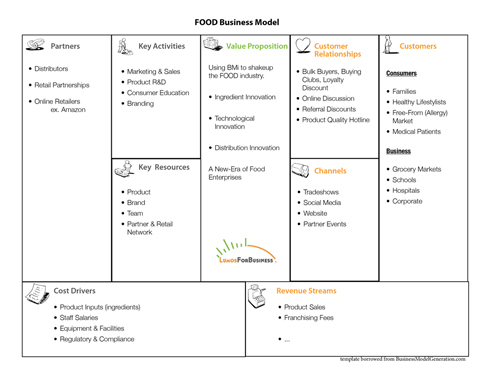 Looking at the business model of the typical food enterprise, it is pretty simple. The primary cost drivers are inputs (ie. ingredients) and salaries, along with the cost of production equipment and facilities. The primary revenue streams are product sales, whether through retail or wholesale channels, and for many prominent retail chains, franchising fees. Depending on the nature of the business, margins can range drastically, from razor thin in the case of most major supermarkets, to fat-cat juicy, as is the case with most premium products and brands. 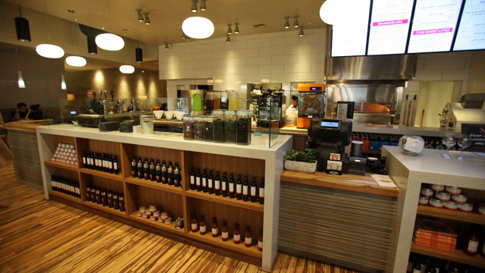 The major moneymaking factor comes through scalability – for retail products, it’s through global distribution, for cafés and restaurants, it’s typically through national expansion. Credibles has built on the crowdfunding business model and developed their own form of currency to help spur local food businesses. Ingredients are the key cost driver in the food business; therefore, the key to being able to offer lower prices on organic (etc) products and compete against traditional GMO offerings is to focus on cutting the costs of ingredients. While much of the focus is on expanding the organic (etc) supply chain through agricultural means, new collaborative models need to be developed to help bring down the cost using BMi. Open Source Product Development, where companies, suppliers and distributors work in tandem to bring new products to market. There are already smaller derivatives of these types of ventures underway, as many entrepreneurs and food pioneers are already beginning to experiment in this space. The key is to remember that collaboration is more important than competition, and that the whole industry needs to be overhauled- there will be more than enough of this pie for everyone once the ball really gets rolling. Technology is the great equalizer for small companies, and food is one of the industries where technology can be used to create scale and efficiency in ways that were traditionally only available to big companies. Beyond ERP systems at the supply chain and inventory management level, companies can use technology to build rapidly scalable entities and connect across the ecosystem to source better ingredients, find new partners and enter new markets. 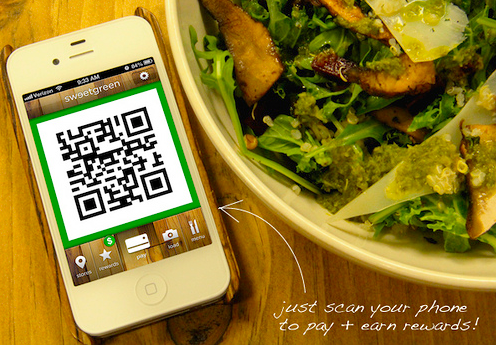 Mobile Payment Applications to enable customers to pay more efficiently and reach a broader market, especially for single SKU companies and restaurant chains. Many companies already employ technology in small ways to help them become more efficient, but it is those who can implement technology into their core business model that will see the big results in the long term. 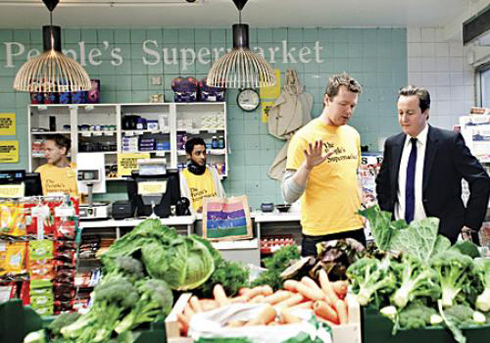 Getting products into key supermarkets and retails stores has always been the key hurdle for new food companies face. Up to this point in history, the strategy has always been to work with distributors and agents (ie. middlemen) and offer a percentage of sales made in return. But in the network economy, companies can start to focus on reaching customers directly and bypass the middlemen. Rather than focusing on vendors and distributors, the new network economy will allow future businesses to build people-powered networks and kickstart their companies via online channels. Overall, the food landscape is ripe for BMi on multiple different levels across markets globally. Those who can take advantage of network strategies to connect across the ecosystem, and build lean enterprises via BMI, will have competitive advantages that last for the long term. The time has come to stop picking the low-hanging fruit and start harvesting the bumper crop. Have you seen any great examples of FOOD BMi?